Do something fun with your child this summer! Learn how to make pasta from scratch. 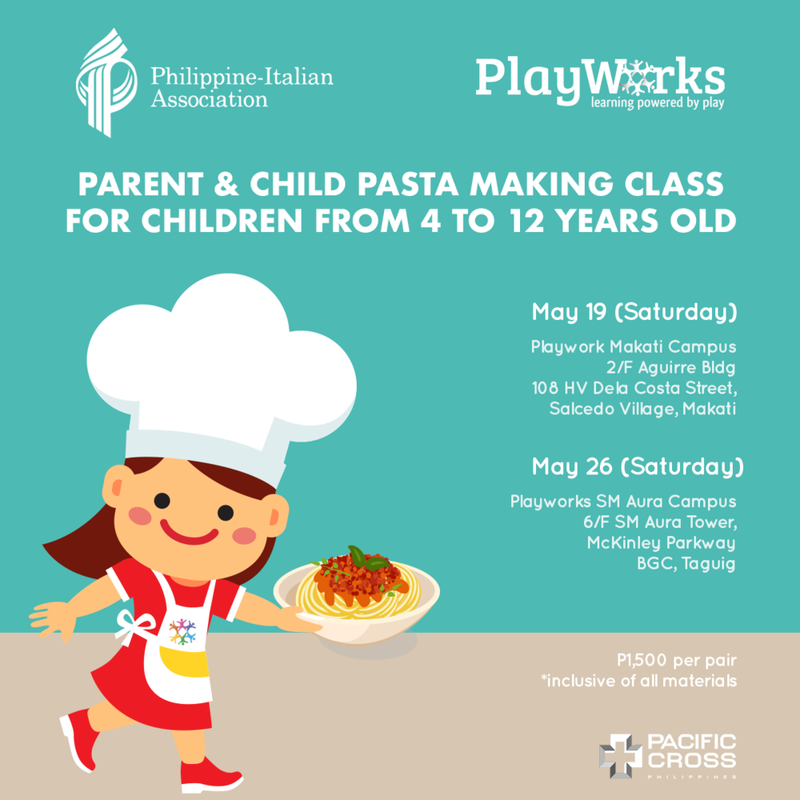 The Philippine-Italian Association, in partnership with Playworks, will be having a Pasta Making Class on May 26 in Playworks SM Aura Campus. It’s P1,500 per pair, inclusive of all the materials. For registration, please fill up the form below or call PlayWorks 772.3471 (SM Aura Campus) for inquiries.